With our vast industry experience and expertise to bring out the best in the industry products we bring to our clients Conveyor Parts & Components. 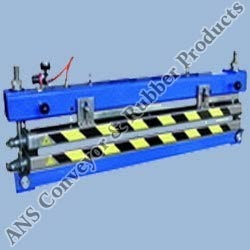 We provide different parts and components for gravity conveyor rollers and for idler rollers. We have many sizes and types of these parts and components available with us. We welcome queries for Conveyor Components and Services from Overseas Countries like United Kingdom, United States, Australia, China, Denmark, France, Netherlands, New Zealand & Norway. This Ceramic Pulley Lagging is fabricated using high grade raw material and using latest technology. They are widely used in bulk material handling applications, reliable performance and longer service life. These are essential to improve conveyor belt performance by eliminating slippage between conveyor belts and drive pulleys. 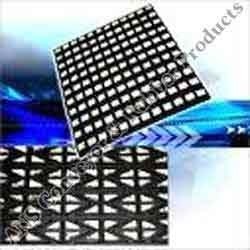 These products are also checked stringently by quality analysts under various parameters to ensure that defect free range is supplied to our customers. 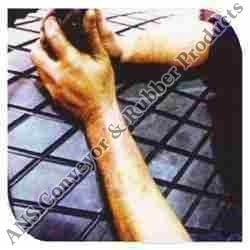 We manufacture and supply huge range of Rubber Pulley Lagging Sheet - Diamond Groove, according to the customers’ requirements and in addition to that we also provide service of pulley lagging. These are fire retardant and anti-static and are offered in 34oz hard duck cotton and in nylon as well. This Belt Tensioning Clamp is fabricated using high quality raw material. They are highly appreciated for their durability and reliability. A wide range of Belt Jointers is being offered by us. Clients can avail a customized range of machines as per their requirement. These machines are highly appreciated for their features like high performance, robust construction and easy maintenance. These machines are manufactured using the advanced technologies and available for nominal price. Looking for Conveyor Parts & Components ?